Some of my very favorite recipes are the ones you can throw together in less than 30 minutes, when you thought you had nothing in the fridge. 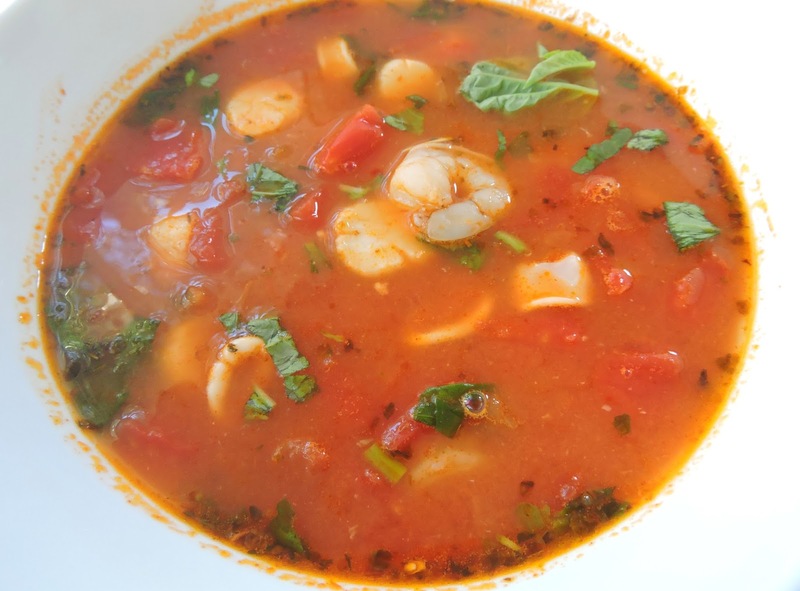 In this Italian-style cioppino-inspired stew, I use a frozen seafood blend and canned tomatoes to keep things really easy. 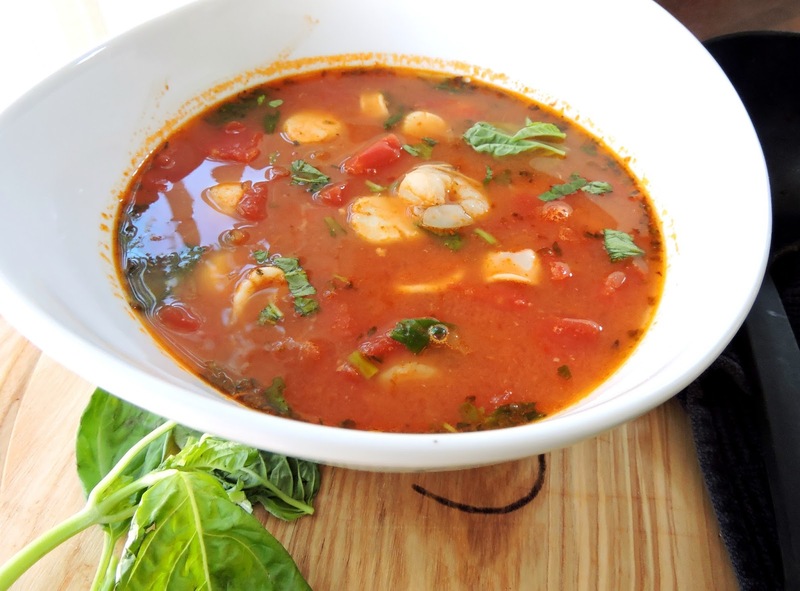 Add some spices and fresh herbs (if you've got them), with a little onion & garlic, and you've got a soup-er simple dinner that looks & tastes gourmet! I love the versatility of this dish~ especially for families who aren't all on the same page when it comes to dietary requirements. As is, this recipe is Whole 30 compliant. That means free of grains, soy, dairy, alcohol, and any other non-compliant additives. If you want to change it up for other family members, here are a few ideas: add white wine in step 2, serve over rice or orzo pasta, slice some crusty bread for dipping, add chorizo or Italian sausage... I could go on! This recipe makes enough for 4 hearty servings, so double it if you're feeding a crowd. Hope you love it! In a large pot over medium-high heat, heat the olive oil and onion until the onion begins to soften (about 2 minutes). Add the garlic, tomatoes, spices, and water and bring to a low boil. Stir in the seafood, and cover for 3-5 minutes or until the shrimp are pink and the seafood is just cooked. Stir in the basil and season with salt & pepper to taste. The amount of salt needed will depend on the type of seafood you use, and whether your tomatoes are salted. Taste it as you go! *Makes four hearty bowls of stew. Made it for my wife and now it's her favorite dish! Also served it with some fresh bread (added a little Italian seasoning to the mix). Also, substituted 1 cup of water for a dry white wine - trust me, that's the way to go! Oh, and I also added mussels which really finishes the dish nicely. Thanks for sharing it with us. Love this recipe. I follow your directions but just add itailian sausage and sub wine for the water per your recommendations and i absolutely love the combo. So quick, easy and delicious!